There is something deeply tragic about the recent death of L.A. rapper Nipsey Hussle that I just can’t seem to shake off. It’s a beautiful thing we feel grief when we lose the people who inspire us through their art, even though we never even knew them “personally.” But it’s a horrible feeling knowing this person’s time on earth was unjustifiably cut short. Essentially, this feeling is about one of the biggest challenges of life itself: dealing with the fact that the people you don’t want or expect to die, can die at any given time. There is no point in trying to make sense when there is none to be found. We can only learn to accept that these are the conditions attached to our existence. 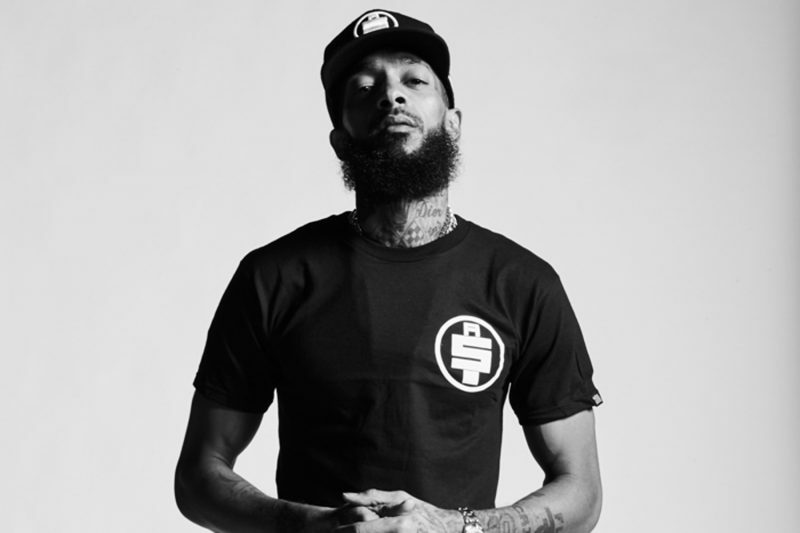 Nipsey Hussle (real name: Ermias Asghedom) attracted local stardom after selling mixtapes in Los Angeles almost a decade before his breakthrough Grammy-nominated 2018 album, Victory Lap, globally solidified his presence as one of the renaissance men of the Westcoast rap scene. Personally speaking, this was the album that properly introduced me to Nipsey and his unique qualities as an artist. Most of all his contagious sense of pride, determination, and motivation as a self-made man. Victory Lap features an energetic Nipsey celebrating the fact he overcame the odds all by himself. Ready to face new challenges and challengers. Those are not necessarily unique themes in hip-hop. But what really sets Asghedom apart from a lot of his colleagues is the fact he was a true philanthropist, actively trying to improve socio-economic problems plaguing the community he grew up in. By opening new businesses to create job opportunities, trying to stop gun violence, paying for the funerals of gang-related murder victims, and so on. Judging from the interviews I’ve seen with him, the guy was a sincere, honest, respected and hard-working dude with an incredible amount of love and dedication towards the community he grew up in. The fact he got gunned down on the porch of his store, in the very neighborhood he was trying to uplift, is what makes this situation even more tragic and senseless. If you haven’t seen it, I really recommend watching this documentary about his clothing brand and the mindset behind his Marathon brand. Fast-forward to almost a week later, and I’m still feeling pretty down and out. I try to see the hardships in life as blessings in disguise and started this train of thought I felt like sharing. Isn’t it beautiful how we can empathize with the artists we love? For me to feel grief for a person I’ve never met personally, but respect and admire from a safe distance, feels kind of awkwardly beautiful. It reminds me way too vividly of September 2018, when Mac Miller died. First of all, it might be worth noting that both Swimming and Victory Lap are easily in my Top 5 most listened albums in 2018. So having both these artists tragically meet their end a few months apart is something that I find pretty hard to digest. Another thought that popped into my mind: hip-hop is a fascinating genre with quite a deep level of investment in the artists we listen to. In this predominantly lyrics-driven genre, we can venture quite far into the minds of the artists we listen to, and it’s easy to sympathize with them for openly sharing their struggles and successes. It transcends hip-hop of course, but no other genre lays such a heavy emphasis on lyrical content. Whether it’s Elzhi’s open book about writer’s block, Lead Poison, Mac Miller’s journey through the ups and downs of his mind, or countless other examples. It’s a genre full of stories. And there’s bound to be one that resonates with yours. In Mac’s case, Swimming resonated with my own story. We actually both went through the same theme of finally finding ourselves after quite some dark years of dwelling in the darker corners of our minds. From drowning in your own undeveloped self, to learning how to “swim” and to develop a character. A prelude to the theme of self-mastery and being self-made. The first time hearing “Come back to Earth” was like hearing someone else say the stuff I was only recently thinking about myself. It made my personal struggle–and my way out of it–relatable, and felt so assuring. “Wings”, “Self Care”–man, this album just clicked for me. Even though, in all honesty, I never particularly liked the sound of his voice and never fully connected with his older music aside from a few tracks. Swimming hit home and felt like a sucker punch of realness right in my heart. 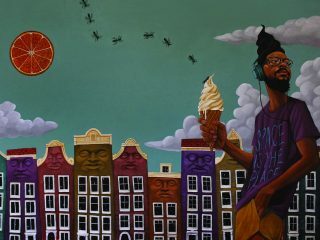 To see him grow from the naive artist he was to the self-aware dude that just seemed to finally have figured himself out. It was like witnessing the journey twice, on a “Mac Miller”-level as well as on a personal level. 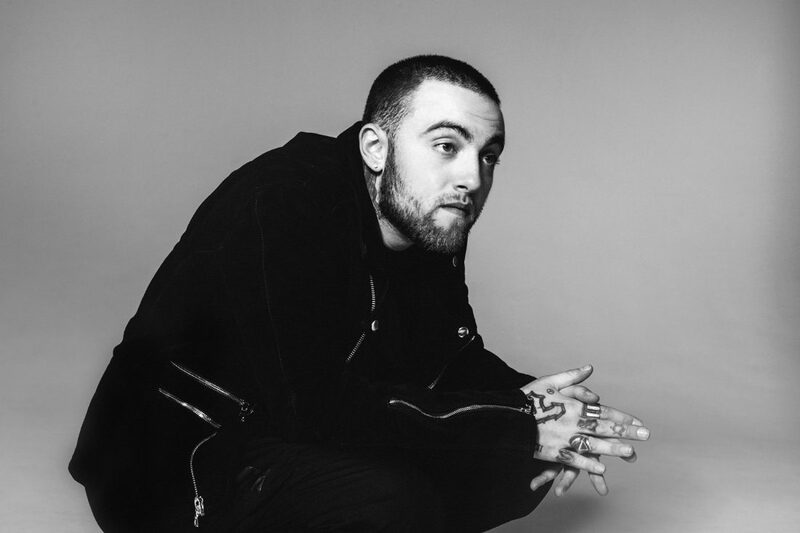 When Mac passed away a month after dropping Swimming, it felt for a second like losing a friend. Even though I practically only listened to his music for about four weeks. Quite a bizarre realization. It was a testament to the beauty of music–albeit a harsh one. I felt compassion for the guy behind the music. I wish I could be a witness to his further progress in life. I think it’s an honor these musicians allow us to peek inside their thoughts to harvest the fruits of their life’s lessons. I just hope the people close to both Mac and Nip can find some solace in the fact that we, the listeners, are sincerely engaged with their legacies. We care and will continue to carry their names in pride. Death can immortalize a musical legacy. I just want to end this article with the sincerest “Thank You” to both Mac Miller & Nipsey Hussle for inspiring me and countless others. Rest in power, and may your legacies live on. 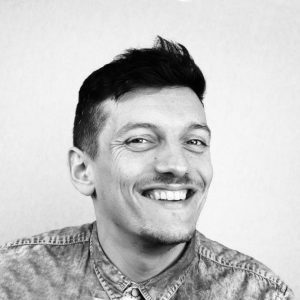 Makes beats (previously also for Darker Than Wax), creates graphic design, spins records, and is 24/7 on the look for good music in different genres. All from his home base of Groningen, The Netherlands.